The current status of the large decameter radio telescope UTR-2 (Ukrainian T-shaped Radio telescope) together with its VLBI system called URAN is described in detail. By modernization of these instruments through implementation of novel versatile analog and digital devices as well as new observation techniques, the observational capabilities of UTR-2 have been substantially enhanced. The total effective area of UTR-2 and URAN arrays reaches 200 000 m2, with 24 MHz observational bandwidth (within the 8–32 MHz frequency range), spectral and temporal resolutions down to 4 kHz and 0.5 msec in dynamic spectrum mode or virtually unlimited in waveform mode. Depending on the spectral and temporal resolutions and confusion effects, the sensitivity of UTR-2 varies from a few Jy to a few mJy, and the angular resolution ranges from ~ 30 arcminutes (with a single antenna array) to a few arcseconds (in VLBI mode). In the framework of national and international research projects conducted in recent years, many new results on Solar system objects, the Galaxy and Metagalaxy have been obtained. In order to extend the observation frequency range to 8–80 MHz and enlarge the dimensions of the UTR-2 array, a new instrument – GURT (Giant Ukrainian Radio Telescope) – is now under construction. The radio telescope systems described herein can be used in synergy with other existing low-frequency arrays such as LOFAR, LWA, NenuFAR, as well as provide ground-based support for space-based instruments. 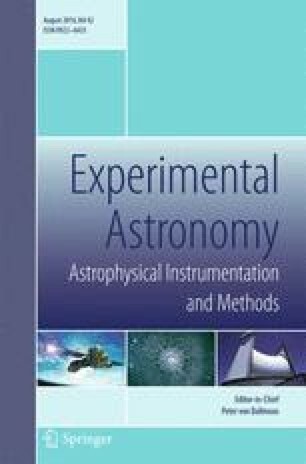 The authors are grateful to numerous colleagues for participation in instrument development and observations. All studies have been carried out with extensive support from a number of national and international programs and foundations, especially National Academy of Sciences of Ukraine, CNRS (Centre National de la Recherche Scientifique) and Observatoire de Paris, France; Austrian Academy of Sciences (OAW), INTAS and others.